This is a sponsored conversation written by me on behalf of Stouffer’s. The opinions and text are all mine. Comments submitted may be displayed on other websites owned by the sponsoring brand. This is a compensated campaign in collaboration with the Stouffer’s and #WeAllGrow Latina Network. The balance your plate initiative came about after research showed that Americans are only meeting fruits, vegetables, proteins, and dairy only 7 days of of 365. Everyone wants to eat better but it can be hard to find inspiration in the busy work week. Stouffers is trying to change that with their Kitchen Cupboard project. School activities and busy working parents get in the way of planning healthy well rounded meals at home. Families are often putting meals together last minute or rushing to the fast food place. The trouble is fast food is often nutritionally deficient. Balance Your Plate is a program that aims to help families like yourself eat more nutritious food. Incorporating fresh and frozen foods like Stouffer’s Family Size Lasagna with Meat & Sauce will help your family eat more balanced plates of food. Stouffer’s recently announced its new “kitchen cupboard” commitment that focuses on shortening and simplifying recipes that only include ingredients families can actually recognize. Stouffer’s Lasagna with Meat & Sauce, a classic dish, has been re-simplified with wholesome ingredients that you can recognize but still offers the same great taste. Over the next few years consumers will see changes at Stouffers with their Kitchen Cupboard changes to favorite dishes to better meet the needs of busy families who just want healthier meals that they can make quickly. The Kitchen Cupboard Initiative recognizes that families just want to be able to read the ingredients list. 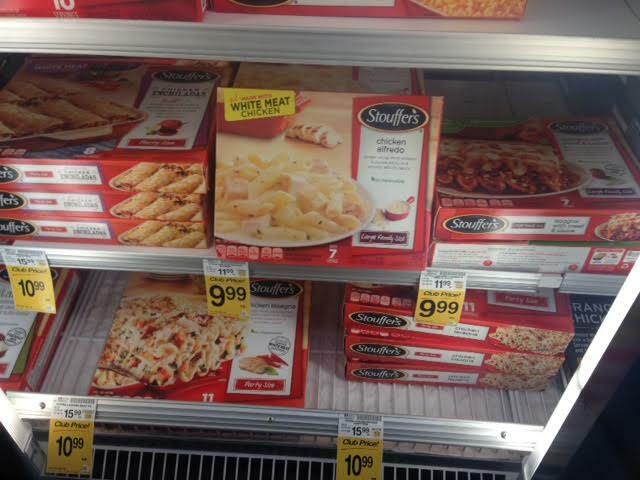 Stouffer’s Lasagna comes in family size, and is made to simplify your dinner experience. Just plop it in the oven and you have a warm meal in no time.